It’s true that they didn’t work much, not by American standards anyway. In the U.S., full-time salaried workers supposedly laboring 40 hours a week actually average 49, with almost 20% clocking more than 60. These people, on the other hand, worked only about 37 hours a week, when they weren’t away on long paid vacations. At the end of the work day, about four in the afternoon (perhaps three in the summer), they had time to enjoy a hike in the forest or a swim with the kids or a beer with friends -- which helps explain why, unlike so many Americans, they are pleased with their jobs. He believes, he added, in “a society where all people do well. Not just a handful of billionaires.” That certainly sounds like Norway. For ages they’ve worked at producing things for the use of everyone -- not the profit of a few -- so I was all ears, waiting for Sanders to spell it out for Americans. Proof that they do work is delivered every year in data-rich evaluations by the U.N. and other international bodies. The Organization for Economic Cooperation and Development's annual report on international well-being, for example, measures 11 factors, ranging from material conditions like affordable housing and employment to quality of life matters like education, health, life expectancy, voter participation, and overall citizen satisfaction. Year after year, all the Nordic countries cluster at the top, while the United States lags far behind. In addition, Norway ranked first on the U.N. Development Program’s Human Development Index for 12 of the last 15 years, and it consistently tops international comparisons of such matters as democracy, civil and political rights, and freedom of expression and the press. Right there they part company with capitalist America, now the most unequal of all the developed nations, and consequently a democracy no more. Political scientists say it has become an oligarchy -- a country run at the expense of its citizenry by and for the super rich. Perhaps you noticed that. In the last century, Scandinavians, aiming for their egalitarian goal, refused to settle solely for any of the ideologies competing for power -- not capitalism or fascism, not Marxist socialism or communism. Geographically stuck between powerful nations waging hot and cold wars for such doctrines, Scandinavians set out to find a path in between. That path was contested -- by socialist-inspired workers on the one hand and capitalist owners and their elite cronies on the other -- but it led in the end to a mixed economy. Thanks largely to the solidarity and savvy of organized labor and the political parties it backed, the long struggle produced a system that makes capitalism more or less cooperative, and then redistributes equitably the wealth it helps to produce. Struggles like this took place around the world in the twentieth century, but the Scandinavians alone managed to combine the best ideas of both camps, while chucking out the worst. In the Nordic countries, on the other hand, democratically elected governments give their populations freedom from the market by using capitalism as a tool to benefit everyone. That liberates their people from the tyranny of the mighty profit motive that warps so many American lives, leaving them freer to follow their own dreams -- to become poets or philosophers, bartenders or business owners, as they please. Consider the Norwegian welfare state. It’s universal. In other words, aid to the sick or the elderly is not charity, grudgingly donated by elites to those in need. It is the right of every individual citizen. That includes every woman, whether or not she is somebody’s wife, and every child, no matter its parentage. Treating every person as a citizen affirms the individuality of each and the equality of all. It frees every person from being legally possessed by another -- a husband, for example, or a tyrannical father. 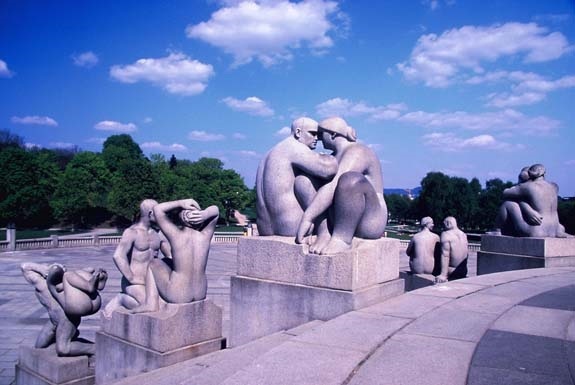 Which brings us to the heart of Scandinavian democracy: the equality of women and men. In the 1970s, Norwegian feminists marched into politics and picked up the pace of democratic change. Norway needed a larger labor force, and women were the answer. Housewives moved into paid work on an equal footing with men, nearly doubling the tax base. That has, in fact, meant more to Norwegian prosperity than the coincidental discovery of North Atlantic oil reserves. The Ministry of Finance recently calculated that those additional working mothers add to Norway’s net national wealth a value equivalent to the country’s “total petroleum wealth” -- currently held in the world’s largest sovereign wealth fund, worth more than $873 billion. By 1981, women were sitting in parliament, in the prime minister’s chair, and in her cabinet. Things happened very differently in Norway. There, feminists and sociologists pushed hard against the biggest obstacle still standing in the path to full democracy: the nuclear family. In the 1950s, the world-famous American sociologist Talcott Parsons had pronounced that arrangement -- with hubby at work and the little wife at home -- the ideal setup in which to socialize children. But in the 1970s, the Norwegian state began to deconstruct that undemocratic ideal by taking upon itself the traditional unpaid household duties of women. Caring for the children, the elderly, the sick, and the disabled became the basic responsibilities of the universal welfare state, freeing women in the workforce to enjoy both their jobs and their families. That’s another thing American politicians -- still, boringly, mostly odiously boastful men -- surely don’t want you to think about: that patriarchy can be demolished and everyone be the better for it. Thanks to TomDispatch.com where this article first appeared, without the photo.